I hope everyone had a great February break. Here is a quick update with more to follow. April 4th-7th – No Classes – Resonate Student Music Conference and Teacher PD Day. Senior Tour details to be released very soon. The East and West Senior bands will again combine to travel to perform in and around Edmonton from May 11th-14th. 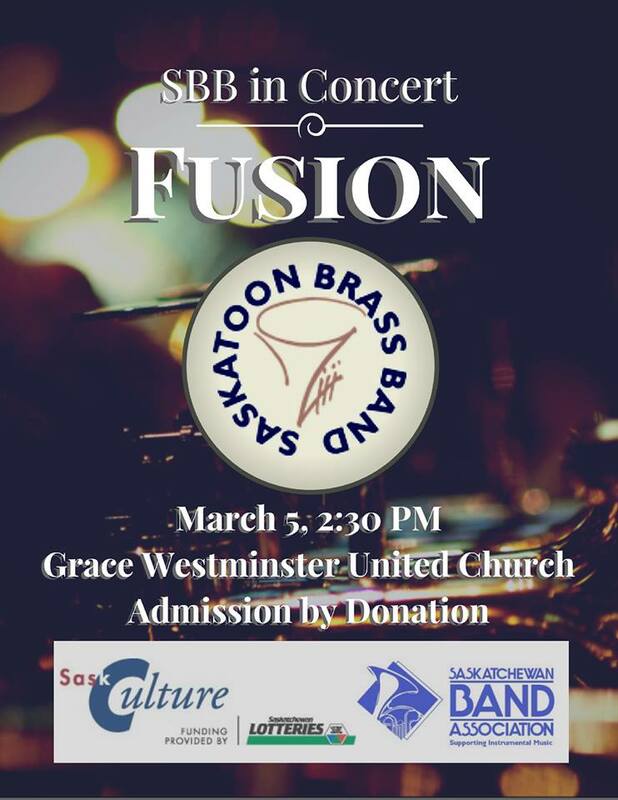 For any students looking for a concert to review or watch Mr. Streisel, Ms. Wist and Mr. Martin will all be involved in the Saskatoon Brass Band concert: ‘Fusion’ at Grace Westminster United Church this coming Sunday March 5th. The concert starts at 2:30pm and it is admission by donation. Just a reminder that the East Band Division rehearsals (for Intermediates and Senior) is tomorrow afternoon in Allan. It is not only expected but vitally important that any Intermediate or Senior student not attending the rehearsal contacts Mr. Martin or Ms. Wist as we are responsible for your attendance. Division rehearsals are not “optional”* and with only three more rehearsals until Optimist Festival in Regina it is vital students are at rehearsals. *Clavet Beginner Band+ grade 6’s students exempt – Only students attending Allan Division rehearsals go on tours, trips or take part in Festivals/concerts.